Having a brother almost a decade older than me comes with some pretty awesome perks. I was always in the know about bands that none of my friends knew of, I got awesome hand-me-down shirts and, in my case, got to watch all of the horror movies that none of my friends’ parents let them watch. From as early as 10 I was watching all kinds of things that someone my age shouldn’t have been watching. There’s one movie in particular that stands out in my memory. 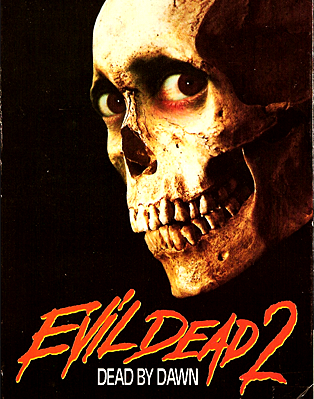 I can clearly remember the totally creepy Evil Dead 2 VHS box art on my brother’s shelf. I had never seen a film like it and immediately latched on to the zombie genre, as my brother did before me. But it was very different 14 years ago, as zombies weren’t plastered all over prime-time television, videogames, the Hollywood box office or popular comic books. In fact, I would go as far as to say the subject was still taboo for most; somehow though, the living world fell in love with the living dead. At the heart of our love for our decomposing friends lies two things: We love to hate things that are disgusting and are dispatched in clever ways, and we are all curious creatures. Think about it. If AMC aired a show where a living human was killed by another living human with a screwdriver to the head, and it was shown with the detail The Walking Dead is famous for, I don’t think the show would make it past the first season. We love zombies because we don’t care about them. 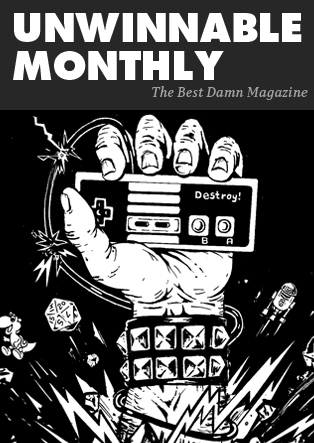 Like throwing sandbags at soup cans in a carnival, we just want to see them all fall down. In George A. Romero’s Dawn of the Dead, a living human takes a shotgun blast to the skull in the first five minutes and the audience is rightfully appalled, as I’m sure was intended. Mere minutes later, a room of zombies is mowed down to what doubtless most would describe as relief. When we learn that zombies can only be taken down by a strong blow to the skull or neck, it’s exciting. Not only are these things formerly human and can turn you into one of them if they bite you, but now you either have to get close enough with something heavy or sharp, or be a crack shot with a gun. Awesome. We all secretly love watching characters suffer through this turmoil. When little Jimmy has to put a bullet through zombie-Grandma’s skull, we are sad for Jimmy, but we’re excited to see him pull the trigger to keep the group safe. None of us would ever really want to be in that situation, so it’s a good thing that zombies aren’t real. Zombies aren’t real, right? Max Brooks’ The Zombie Survival Guide is a tongue-in-cheek take on another reason we love zombies. Think about all of the times you’ve gathered with your friends and discussed your great plan of attack and survival for the zombie apocalypse. We humans love speculation, and what better topic is there? In the 1960s, we built bomb shelters during the Cuban Missile Crisis, there’s a show on A&E about building fallout shelters and somewhere, right now, someone is talking about how they’re going to survive when zombies roam the earth. We talk about our loved ones, where to find a local gun supply and what items around our house would be useful/useless. We ask each other questions like, “Would you shoot me if I became a zombie?” and plan with such gusto that some even put pen to paper and write, in great detail, their own manifestos. With films like [REC] and the 28 Days/Weeks Later series out there, who’s to say that disease can’t make our worst nightmares come true? Even Robert Kirkman and AMC’s aforementioned smash, The Walking Dead, doesn’t seem all that far-fetched sometimes. It’s very easy for us to dismiss vampires, werewolves, Jason Voorhees and Freddy Kruger as figments of someone’s warped imagination, but the fact that zombies are a little less easy to dismiss from our psyche piques our curiosity and keeps us wondering. 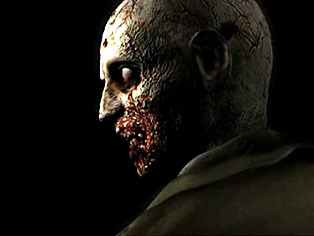 Zombies have been used successfully in all types of genres, from comedies like Shaun of the Dead and Return of the Living Dead to more serious horror films like Romero’s Dead series. They have also proven successful in the videogame world, thanks to Resident Evil and Left 4 Dead. And don’t forget TV – I’m anticipating season three of The Walking Dead later this year. We’ve come a long way from thinking about zombies as a worst-case scenario from the Bible, and we’re certainly past the courting stage. To one’s nightmare or dream come true, zombies have found their way into our living rooms, and they have our brains… and our hearts. Become a part of Erik’s “Zompocalypse Survival Initiative” on Twitter @Erock88.